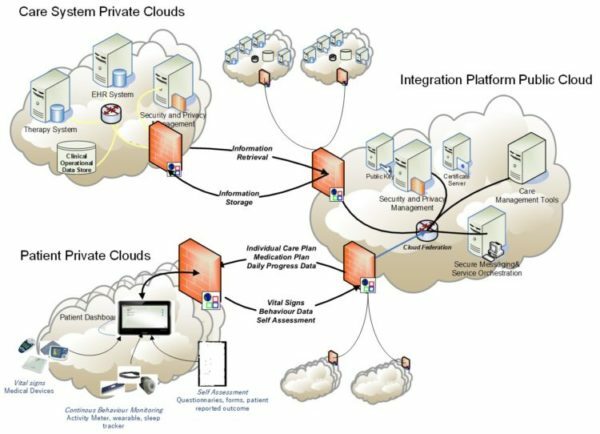 Development and deployment of security layers within cloud solutions that guarantee the privacy and safety of the patient data, while enabling the coordination of services between different clinical and care providers. Peter Rosengren from CNet presented the distributed e-health architecture developed in PICASO, which addresses the specific needs of the care system as well as of the patients, providing a solution with several cloud components to handle all details of privacy and security. The Picaso solution separates software and clinical data. Clinical data always remains in care facilities and is encrypted and pseudonymised when transferred in the cloud. CNet has been selected as one of 50 finalists for the European Commission‘s Innovation Radar Prize 2018 with our PICASO innovation: Federated Cloud Architecture designed for ehealth: Care Management as a Service. The Innovation Radar Prize awards high quality innovative excellence, emerging from the Horizon 2020 programme. The award distinguishes five categories with 10 finalists in each. CNet has been selected for the “Tech for Society” category, recognising technologies impacting society and citizens. The price committee examined several thousands of EU-funded innovations from across Europe, making it quite an achievement to get selected as one of the 50 finalists. CNet was recognised for their solution within the PICASO project, “Care Management as a Service”. This solution enables care organisations to use cloud technology, experience benefits of scalability and software resource sharing without violating regulations regarding clinical data. The innovation is based on a software-to-data cloud approach. All software for care management and decision support is hosted in one public cloud while all clinical data always resides inside the care organisations. All access and use of clinical data are done in a secure and authorised way, without violating GDPR. This creates an innovation in healthcare making it possible to use cloud technology while taking the specific requirements regarding clinical data into account. From left: Matts Ahlsen, Daniel Eriksson, Peeter Kool, Tobias Brodén, Peter Rosengren, Stefan Paulsson. For people with asthma, their inhaler plays a central role in managing the condition. These simple drug delivery devices have been used for decades to deliver medication to the lungs. Regular treatment with inhaled controller medication helps to keep asthma under control and, for some patients, ‘rescue’ or relief medication can limit the impact of an exacerbation (or ‘asthma attack’). The myAirCoach consortium, where CNet is a member, has been working to extend the utility of inhalers by developing adaptors to make inhalers smarter to improve outcomes for patients. Companies, hospitals and universities – in collaboration with patients – have been working to improve inhalers so that we can get as much information as possible about how the patient uses their device and information about the state of the lungs and the immediate environment. Our partner InJET was exhibiting Linkwatch at the CareWare Conference in Aarhus, Denmark 4-5 April. CareWare focuses on new technologies targeted at the fields of healthcare and assisted living. The aim with the CareWare Conference is to enhance innovation and the development of technological solutions. The LinkWatch integrated solutions for Health monitoring combined with fall detection gained lots of interest from municipalities. We had 125 visitors from 16 municipalities. Each group had 15 minutes presentation. The confernece confirmed that falls are a very serious issue and that Linkwatch has the right combination of Smart Home technologies, involvement of relatives in the care as well as the functionality needed by the professionals. After the Conference Linkwatch was selected as one of the solutions to be on permanent display in Aarhus for the coming 8 months. We will be exhibiting our HyperLog app at the Vitalis eHealth fair 25-27:th of April in Gothenburg. Hyperlog is a newly developed app that coaches people to lower their blood pressure. It is the first app developed that is fully integrated with “Hälsa för mig”, the new Swedish National Health account. We will exhibit in the booth of Swedish eHealth Agency, and will make a presentation together with them. Come and visit us at Booth B04:22! This week we are exhibiting at the CeBIT fair in Hannover. Come by and visit our booth E1 in Hall 8. We are showing solutions for self management and care of asthma together with our colleagues in the myAirCoach project. CNet is showing our award winning smart city solution AsthmaWatch for realtime air pollution guidance to asthma patients. 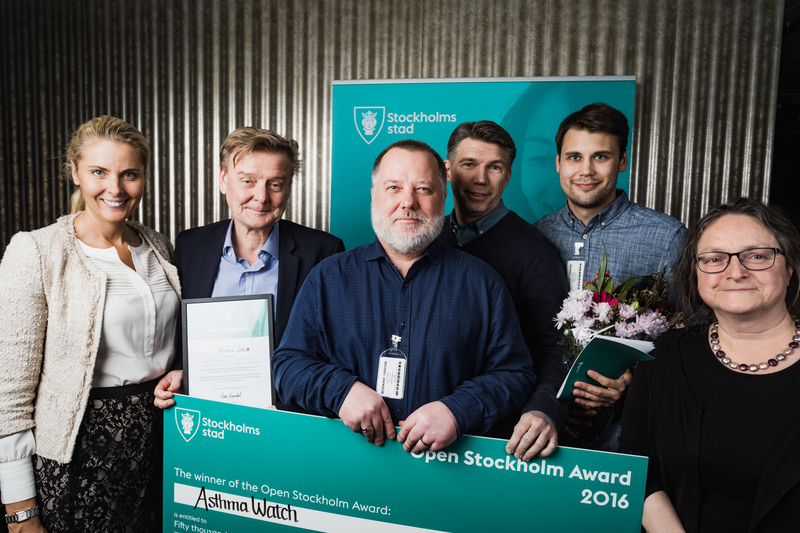 CNet wins the Open Stockholm Award with AsthmaWatch! 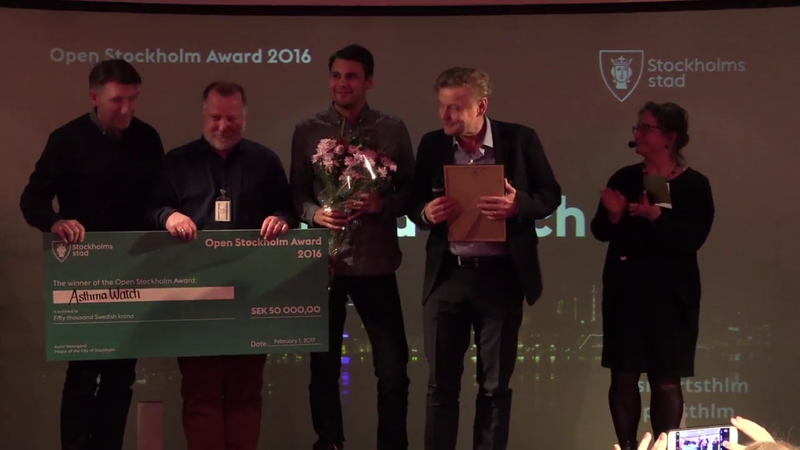 Yesterday the final in the Open Stockholm Award took place. In total 220 contestants were competing for this prestigous award, and the jury selected our innovative solution AsthmaWatch as the winner! The motivation is that “AsthmaWatch shows a highly innovative use of the city’s open data sources and helps people live a better life”. 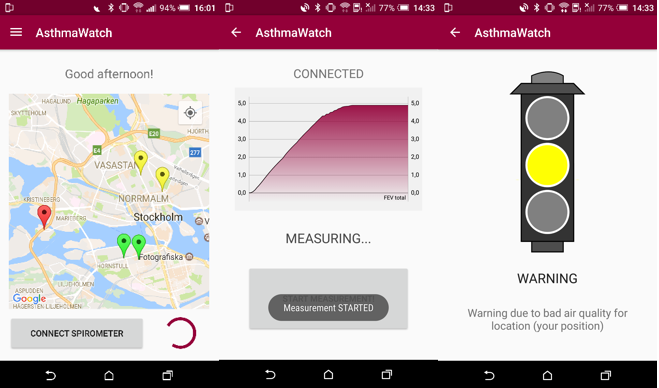 AsthmaWatch combines IoT sensors and open environmental data to guide asthmatic persons in their daily life to avoid exposure to bad air quality. AsthmaWatch has been built using Almanac Smart City Enablers, MyAirCoach and LinkWatch Health monitoring system. Our new project PICASO have now started. The project aims at improving the situation for patients with multi-morbidities, that is several unrelated diseases. One of the biggest problems is that their health information is stored and managed in many different locations, making it difficult for different care organisations to get the overall picture of the patient’s health status and history of treatments and therapies. CNet who is the technical coordinator of PICASO will develop new solutions based on blockchain technology to management and exchange distributed patient health data in a secure and trusted way. This is part of our innovation area Disease Management and Elderly Care. We have now made the LinkWatch Observation Server available through a REST API. eHealth developers can now retrieve streams of observations and display them in different, easy to understand diagrams to both clinicians and to patients. It can be used both for traditional patient and clinician portals, as well as for smart phone app developments. LinkWatch Medical Device Gateways for PC, tablets and smart phones, LinkWatch Health Plugins and the LinkWatch Observation Server forms the LinkWatch Remote Care Platform that can easily be customized for different care scenarios and organisations.